Jay is a significant undeveloped deposit at Dominion Diamond’s Ekati mine. Canada’s Dominion Diamond (TSX, NYSE:DDC) has decided to proceed with a key expansion for its Northwest Territories-based Ekati mine, which would help keep the iconic operation in production until 2033. The decision of moving forward with the development of the Jay pipe, located near Ekati’s existing Misery pit, was based on positive feasibility study results, the company said in a statement. Dominion also expects to begin construction of a fourth pipe at its 40%-owned Diavik mine, Canada’s largest diamond mine and one of the oldest. The project, which includes building a dyke, draining part of a lake and digging an open pit, will be funded from existing cash and internal cash flow, Dominion said. Without the expansion, Ekati would have run out of its existing reserves by 2020. In a separate statement, the company said it would focus on developing its core assets in the Lac de Gras region of the Northwest Territories and on buying back shares. As part of the plan, Dominion also expects to begin construction of a fourth pipe at its Diavik mine, Canada’s largest diamond mine and one of the oldest, which it co-owns with Rio Tinto (ASX, LON:RIO). Additionally, the firm announced that chief financial officer Ron Cameron would step down on July 15 and vice president Group Controller Cara Allaway would take over as interim CFO. Dominion is also selling its office building in downtown Toronto. That transaction, said the diamond miner, should be completed in the third quarter of fiscal year 2017. The company is still assessing damage after a fire halted processing operations at Ekati on June. It is believed that more than 300 employees and contract workers are at risk of being laid off as a result. KABUL, Afghanistan — The brilliant blue stone lapis lazuli, prized for millennia, is almost uniquely found in Afghanistan, a key part of the extensive mineral wealth that is seen as the best hope for funding development of one of the world’s poorest nations. Instead, lapis has become a source of income for the Taliban, smugglers and local warlords, emblematic of the central government’s struggle to gain control over the resources and rein in corruption. Afghanistan is missing out in millions of dollars in revenues from lapis as illegal miners extract thousands of tons from the mines in northeastern Badakhshan province, according to experts and officials. A local police commander named Abdul Malik has control over a major mine, charges illegal miners to use it and pays the Taliban to allow him to operate, according to an internal memo to Afghan President Ashraf Ghani from his top adviser on mines, seen by The Associated Press, and a top official. Smugglers bribe local officials to turn a blind eye as they transport the gems to Kabul and to neighboring Pakistan for sale, they said. Javid Mujadidi, a Badakhshan lawmaker, estimates that 70 percent of the proceeds from the lapis lazuli “goes to the Taliban, who have a presence at the mine,” located in the province’s Kuran-wa-Munjan district in the mountains near the border with Pakistan. The extortion has helped fund the insurgency’s spread from the southern heartland to the previously peaceful northern provinces. Afghanistan has reserves of coal, copper, iron ore, zinc, mercury, rare earths, gems such as rubies and emeralds, gold and silver, and much more. True values are difficult to assess, but Afghanistan’s mineral and petrochemical deposits have been valued at up to $3 trillion. But little of that wealth is mined legally. Homegrown expertise in exploration, extraction and processing is poor. Inadequate infrastructure and lack of security keep international miners out, and recent ventures with foreign companies in iron ore, copper and gold have collapsed. Afghanistan has a virtual monopoly on lapis, which has been mined in Badakhshan for thousands of years. Egypt’s pharaohs treasured lapis jewelry. Renaissance artists ground it to powder for ultramarine pigment. Today it is used for jewelry and ornaments. Legal mining peaked in 2014 at near 5,500 tons. Rough lapis lazuli ranges in value from $4 to $2,000 a kilogram (2.2 pounds), depending on quality. Illegal mining was rampant and, in an effort to stop it, Afghanistan’s National Security Council banned all lapis lazuli mining in early 2015. But the mines themselves were not secured to prevent illegal exploitation, so Malik was able to take control with apparent impunity, said the official. Malik pays the Taliban in the area about $440,000 a month in protection money, the official said. He spoke on condition of anonymity fearing reprisals from those involved in the illegal trade. Malik could not be reached by the AP to comment on the accusations. Afghan media have also identified him as controlling lapis mining, and he has not responded. Malik charges enormous rents to illegal miners allowing them to mine for 24 hours at a time, according to a Dec. 19 memo to Ghani from his senior adviser on construction, mines, water and energy, Mohammad Yousuf Pashtoon. The mines are being damaged by the high explosives that the miners use in an effort to get out as much as possible in their short permitted time, he wrote in the letter, a copy of which was obtained by the AP. Pashtoon also said Malik’s son works for the Badakhshan branch of the national intelligence agency and warns his father of any intended operations against illegal mining or smuggling. He also wrote that 5,000 tons of lapis mined illegally from Kuran-wa-Munjan was being stored in four districts.— Keran wa Menjan, Juram, Barak and Angam, where the Taliban have long had a presence — by the miners, transporters and traders who plan to profit from it. He wrote that 1,000 tons had already been moved to China. Lapis with an estimated market value over $1 billion had been under-declared and tax paid on stone valued at only $230,000. The contraband lapis is transported to Kabul, hidden in trucks carrying fruit, coal or other commodities. In the capital, it is sorted for global markets and from there most is taken to the Pakistani city of Peshawar, though some is flown to Dubai, United Arab Emirates, or the Indian city of Jaipur. Throughout the process, the central government receives nothing in taxes, and instead all along the route, local authorities and powerbrokers benefit, extracting payments from smugglers. In Peshawar, most of the lapis is bought by Chinese gem traders. With their purchases of precious stones, “the Chinese are funding the war in this country,” said the official. The NSC, the president’s office and the Interior Ministry, which is responsible for security forces, refused requests for comment. For traders who wish to work within the law, the ban has been financially debilitating. Jurm businessman Qari Abdulwadood has had 2.5 tons of legally extracted lapis in storage for two years at a cost of $8,000 a month. He said has already paid the pre-ban 15 percent royalty and would pay the 9 percent export tax. “Now they want us to take it to Kabul, to a central storage facility, but there is no security on the way or once we get there. How can we find the foreign buyers who will be able to cover all our costs?” said another local businessman, Ahmad Jan, who has 120 tons of lapis stored in Badakhshan. Petra Diamonds (LON:PDL) reported Friday a sharp in fall profits as declining demand from China has hit rough diamond prices quite hard this year. The miner, known for major findings in recent months, saw its sales drop, causing an almost $40 million dent in the company’s pre-tax profits in the year to June, a 33% drop from the same period last year. Petra also said it was on track to reach its longer-term target of about 5 million carats of diamond production a year by 2019. The company owns and operates the Cullinan diamond mine, which produced the First Star of Africa, a diamond mounted at the top of the Sovereign’s Sceptre on display in the crown jewels. The Diavik Diamond Mine, a joint venture with Dominion Diamond Corporation (Rio Tinto 60 per cent; Dominion Diamond Corporation 40 per cent) has released its 2014 Sustainable Development report. The Diavik Diamond Mine, located on an island in a remote sub-arctic lake in the Northwest Territories, Canada, began production in 2003 and became a fully underground mining operation in 2012. The Diavik mine produces predominantly gem quality diamonds, destined for high end jewellery in all major consumer markets around the world. Multiple energy management initiatives resulting in a reduction in greenhouse gas emissions. In 2014 the development of a fourth pipe, known as A21, was approved, providing an important source of incremental supply for Diavik and economic and social benefits to the communities in which Diavik operates. Canadian Peregrine Diamonds (TSX:PGD) said Monday it will acquire Botswana- focused junior explorer Diamexstrat, which owns eight prospecting licences in the southern African nation . 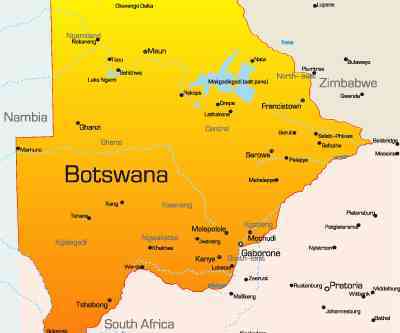 The purchase agreement transfers DES Botswana to Peregrine in consideration for a 1% gross overriding royalty to owner Diamond Exploration Strategies (DES UK) Ltd. In addition, Peregrine will assume a $450,000 loan, which it advanced to DES Botswana. The deal allows Peregrine to buy out the royalty provisions at various milestones. Peregrine can pay $2 million if within 60 days of the discovery of a diamondiferous kimberlite, as defined by confirmation of the presence of microdiamonds or recovery of macrodiamonds in drill core/percussion chips; or $5 million if within 60 days of delivery of pre-feasibility study; or $7.5 million if within 60 days of positive construction decision. If Peregrine decides to not pursue exploration on any of the licenses, the title for those licenses revert to DES UK and Peregrine shall be granted a 1 percent gross overriding royalty with the same buy-out provisions. As part of the transaction, DES UK will enter into a services agreement with Peregrine under which it will provide Botswana-based operational management. The transaction is expected to close on April 15. Mining giant Rio Tinto (LON:RIO) hinted Thursday its 30-year partnership with the Indian diamond industry makes it the best fit to drive the sector’s growth in the country. His statement comes barely a week after the news of Russian President Vladimir Putin aiming to secure a long-sought deal with India that would significantly boost exports of state-owned diamond miner Alrosa. The Russian miner is expected to sign today a dozen deals with Indian buyers to increase direct deliveries to Asia’s third-largest economy, as financial capital Mumbai aspires to expand as a trading hub. Rio said it remains bullish about the opportunities India has to offer, even though its flagship diamond project in the country, Bunder (monkey in Hindi), has run into permit hurdles. Environmentalists have been raising concerns over potential threats to a tiger corridor about 100 km from the deposit in the in Madhya Pradesh region. So Rio is now working on securing environment and forest clearances to get its final mining plan approved. “Development of our Bunder diamond project in Madhya Pradesh is a natural continuation of the partnership model and would put India among the top 10 diamond producing countries in the world,” Lieberherr said. The touted project, discovered in 2004, is expected to generate about 30,000 jobs and produce up to 3 million carats a year, Rio has said. Once operational, Bunder will be one of the only four diamond mines globally that are likely to be operational over the next decade. The company also said that its Argyle Diamonds mine in Australia will be delivering increased volumes from 2015, which will have a direct impact on the Indian manufacturing sector. Diamonds and gold sales continue to finance conflict in chaos-ridden Central African Republic, which has illegally exported an estimated 140,000 carats worth $24 million this year despite international efforts to clamp down on illicit trade. a United Nations panel is advising peace troops to step-up monitoring of the country’s main mining sites. While tensions appeared to have eased in the nation’s capital Bangui after several days of a standoff between former rebels and international peacekeepers, a United Nations panel is advising peace troops to step-up monitoring of the country’s main mining sites. In report unveiled earlier this month, U.N. experts warned an export ban on raw gems from the African nation imposed last year is not working as expected, Reuters reported. Cases of contraband have already been documented and diamond trafficking networks involved in the gradual resumption of artisanal mining activities identified. A May report from the Enough Project showed the country’s diamonds were being sold mainly to traders in the Darfur region of Sudan, as well as Chad, Cameroon and the Democratic Republic of Congo. Previous studies also revealed that Central African blood diamonds may have also hit the United Arab Emirates, Belgium, India, South Africa, Saudi Arabia and Qatar markets. Image: Screenshot from ViceNew documentary, via YouTube. Addressing delegates to the 2nd Zimbabwe Diamond Conference on Thursday, Chidakwa said authorities are also planning to remove tax royalties on locally cut and polished diamonds, The Source reported. President Robert Mugabe said the country’s mining industry needs more than just cutting taxes, as an energy crisis and the lack of new technologies are hindering development in the sector. Miners operating at the country’s Marange and Chiadzwa fields have been warning for months that it has become economically unviable for them to dig any deeper for alluvial diamonds —those easily extractable through open cast mining. Expert Paul Zimnisky attributes last year’s Marange diamond production at nearly 17 million carats, or 13% of global supply by volume. But he says this year the total will drop to around 8 to 12 million carats or less. Hit by smuggling and under-invoicing, which has caused a massive leakage in diamond revenues, Zimbabwe has been looking for ways to ensure that the bulk of its diamonds are processed locally. This, as opposed to being exported in raw form, as it happens now. “In spite of mining being an important contributor to the country’s economy, the mining sector has been limited to extraction and exportation of minerals in their raw or semi-processed form, without due care taken to beneficiation and value addition. The finite resources should be made to remain competitive, in both regional and global markets,” Mugabe was quoted as saying. He also revealed his government was considering setting aside up to two million carat of diamonds or 10% of its annual production for local industry to encourage local value addition and beneficiation. You are currently browsing the archives for the GEMS JEWELLERY category.